You have a busy life so why not combine dog training and exercise at the same time? This app is best suited for dogs that just need their basic training reinforced (heel, down etc) and the human will need a resistance band for their workouts. The app includes 20, 1 hour routines that combine cardio, strength training and obedience commands. It’s a great way to bond with your dog, while you stay fit. If your dog needs to work on their basic obedience skills then the Canine Academy app by Matthew Melville, a dog trainer that uses gentle training methods. This app contains videos to help your dog with their basic commands. Additional videos demonstrate skills such as off-leash control, behavioral issues, and dogs who pull on the leash are available as in-app purchases. There’s nothing more frightening than when your dog may have eaten something poisonous. The Pet Poison Helpline now offers a comprehensive list of toxins and their symptoms in an iPhone app. Although there is limited information on how to treat poisoning in dogs (you really should seek emergency veterinary care) it does offer first aid advice and prevention tips for just $1.99. Having trouble capturing the perfect #woofwednesday photo? With the built in sound effects, getting the perfect shot has never been easier. You can also add stickers, quotes and filters before sharing the photo with your friends. Best of all the app is free! Keep track of your walks with this handy app. It allows you to effortlessly track your route, speed, total distance, calories burned and more. You can even keep track in real-time through feedback via your headphones. A great way to help you and your dog stay fit. While you’re out for a walk…why not raise funds for your favorite rescue or other animal welfare organization. Simply turn on the app anytime you go out for a walk or run and log miles for your organization. Every month the ResQPool (donated by various sponsor) is proportionally divided among the registered animal organizations. The app also features adoptable animals, pet friendly locations, and the ability to share photos with your friends. Don’t assume someone has already fed or walked the dog…be sure with this handy made in Canada app. From tracking basic activities (like feeding the dog) to reminders about vet appointments DogSync makes it easy to log and update everyone in the “pack” (aka anyone involved in your pup’s care). It even has a feature that allows you to ask for help from your pack and track stats to see who does which tasks most (or least) frequently. Whether you’re planning a vacation and need to find dog friendly hotels, Bring Fido will help. You can review the pet policies for each hotel and book a room directly from the app. 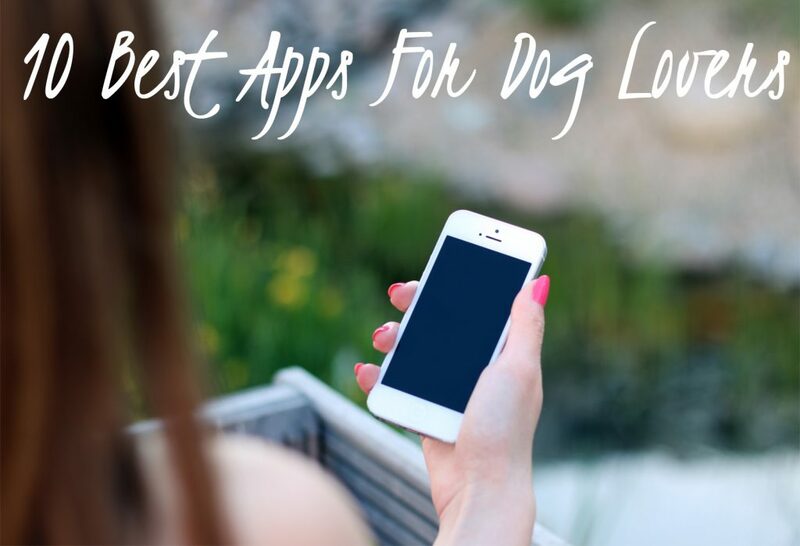 It can even help you find the closest dog park, event, and more. Are you looking to add a new furry (or feathered) friend to your family? The Woof Rescue app connects you to critters that need forever homes. You can filter your search, save your results or even share them via text and social media. If your dog likes to watch tv then they will probably like Game for Dogs. Your dog can try and “catch” a moving dog or (with an in-app purchase) squirrels or cats. It features squeaky or high pitched sounds to entice your dog. Your pup not into virtual games? Not to worry…it is entertaining for the humans too.